« Is Omni-channel Fulfillment Right For Your Facility? 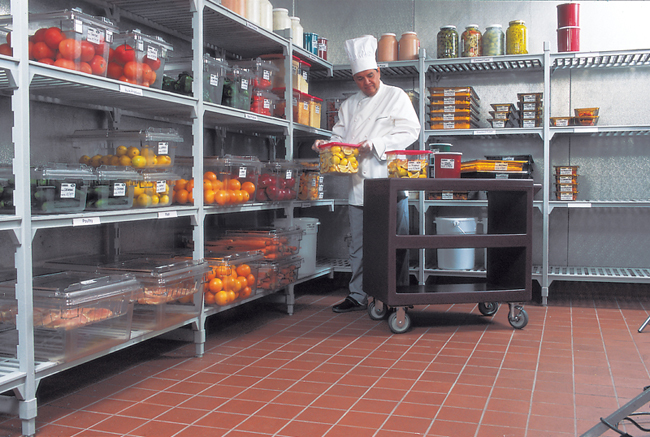 If you work in the food storage industry in any capacity, you’re well aware of the need for proper cold storage. Dating back to British fisherman in the 1700s who found that they can keep their shipments fresh by storing them on ice, cold storage is a vital part of the food industry to ensure the freshness, quality, and safety of their products. Careful choice in carrier: The first step in maintaining food safety is to make sure it gets to your facility on time and stored properly. While it may be tempting to go with the carriers offering the cheapest rates, you might find yourself running the risk of late deliveries, which are damaging enough to any industry but are particularly dangerous when perishable goods are involved. Pick a reliable and dependable carrier who understands the importance of getting food and consumables there on time to ensure the safety of your products. Streamline your processes: Ideally, your entire cold chain process would revolve around minimizing the time it takes to move a product through the system. Vulnerabilities can occur – and quickly – if there is any delay in moving products between stages in the process. Make sure to carefully identify and remove any bottlenecks or hang-ups in the supply chain to prevent issues with products spoiling or getting lost. Provide adequate storage: Making sure you have enough room to store your items is crucial for any industry, but that goes double in food storage thanks to the risks involved. Proper storage involves more than just keeping the temperature down – you need to make sure there’s sufficient locking doors to keep the temperature in, and you need to keep enough wire shelving and rust proof shelving around to keep your products safe while being stored in colder environments. The logistics of cold storage aren’t quite the same as standard storage, and it’s important to keep these differences in mind. Divide temperature ranges: The risk of products going warm and spoiling don’t end after the products have arrived at your facility. Different products require different temperatures (vegetables need to be stored at 55° whereas dairy needs to be stored just above freezing, and so on) and there needs to be careful division between these areas to prevent food from getting too cold or warming up too quickly. Installing factory partitions around your freezers or lower-temperature areas is a good way to divide your products and keep everything safe and properly stored.